New Delhi: The National Association of Realtors-India, an association of real estate agents, has filed a writ petition against the Haryana government in the Supreme Court against recent legislation that limits commissions. “While we welcome the legislation in terms of registration and licensing, we have reservations on the cap on fees to be charged by the brokers," said P.S.N. Rao, founder-chairman of the realtors’ association. The estate agents are appealing to the apex court after being rebuffed by the Punjab and Haryana high court. 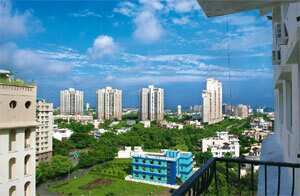 The legislation will erode the earnings of brokers, said Sanjay Sharma, owner of Gurgaonscoop.com, a realty website. Currently, brokers charge a minimum 1% commission from each side, he said. Commissions have halved from 2% to 1% in the past five years, so the law will help continue the trend in which the middlemen are getting squeezed out, he said. Brokers may still be able to make up for some of the loss in fees. “There is always a cheque and a cash component in most real estate transactions, so brokers can charge the required commission fee for the cheque component and a higher rate for the remainder," Sharma said. The legislation may also affect real estate consultancy firms such as Jones Lang LaSalle Meghraj, but to a limited extent. “A large part of the legislation is meant for residential transactions," said Anuj Puri, chairman of Jones Lang LaSalle Meghraj. “For us, residential transactions constitute less than 5% of our business; so though we will be impacted, the impact will not be large."